This adjustable pad plate is the same style that is used on the GraCoil system. Two eccentric cams provide a nearly unlimited range of adjustments for height, canter and rotation. Locks securely to hold your settings. Fifteen mounting holes let you position the recoil pad exactly right, so you get the best possible gun fit. 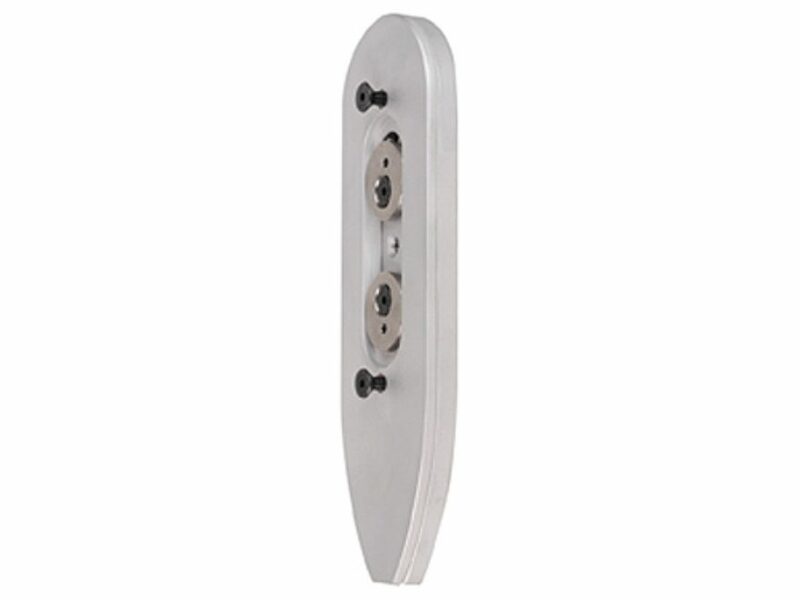 This plate will add 3/8" to the stock length and comes complete with screws and hex wrenches.